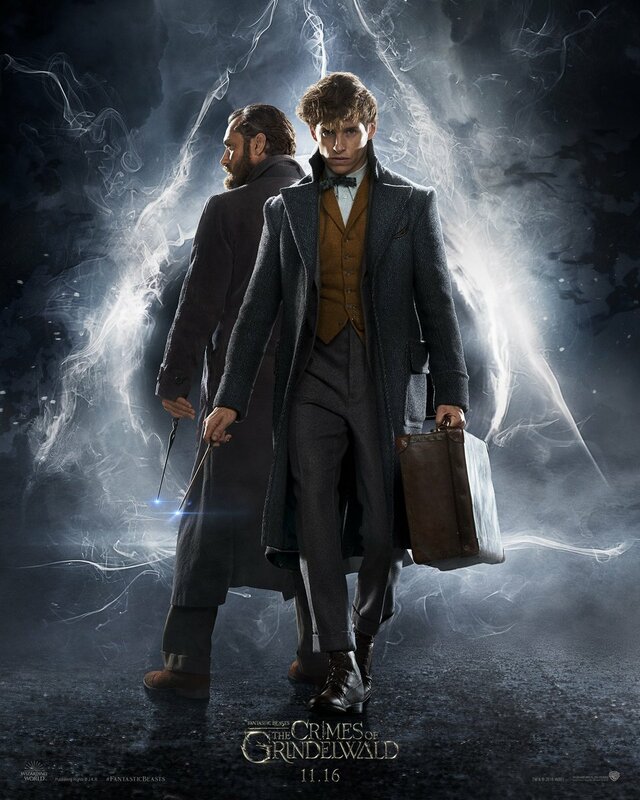 Is Newt Scamander a Dumbledore? 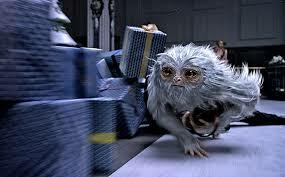 I wondered, “Could the Demiguise be Newt’s Patronus?” That would be a nice surprise and appropriate somehow, given Newt’s private nature and that he baby-sits all his magical creatures the way Dougall does the baby Occamy in the first Beasts film. I googled “Newt Scamander patronus” to see if anyone else had thought of this before I shared it here. I wasn’t meaning anything too wild – just that Newt was also a Dumbledore! (given that Dumbledore’s patronus is a Phoenix – so in this case it can be about who you are, not just who you are in love with). Given the phoenix imagery in Crimes of Grindelwald – and the idea that this bird proves you are a Dumbledore, I’d have thought it was one of the beasts with the most symbolic potential in the series hence the one with biggest spoiler potential *and* we don’t know anything about Newt’s parentage? I wasn’t working from the ‘who might Newt be?’ end of things, just from the ‘what animal might be the biggest spoiler?’ end of things! Prof Groves writes less frequently for Leaky (see her three part discussion there from July about the 2005 JKR-Lev Grossman interview) but has just finished a five-part survey of Rowling’s use of traditional plant lore in the Harry Potter novels. My favorite is the fifth and concluding part in which she reveals the alchemical side of plants (and makes a great catch, a first I think, of the hermetic items for sale in Diagon Alley), but all five have Groves’ characteristic wit and insight. Who knew Culpeper’s Complete Herbal was so important to Rowling’s potions work and alchemical drama? “Not I,” says the Dean. I include links to the five posts below for your convenience in finding and reading all five. Enjoy! Prof Beatrice Groves, a Research Fellow Lecturer at Trinity College, Oxford University. 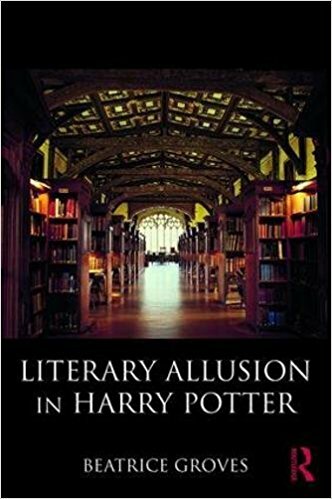 Her groundbreaking Literary Allusion in Harry Potter was published in 2017. 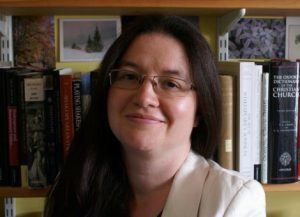 She is a frequent guest on the MuggleNet podcast, ‘Reading, Writing, Rowling‘ and writes for that fandom platform on her dedicated page, ‘Bathilda’s Notebook.’ A frequent contributor to conversations at HogwartsProfessor.com (HogPro), Prof Groves last posted here to discuss the ‘Nagini Maledictus in Fantastic Beasts.’ Today she writes about the Robert Galbraith interview last week with Graham Norton on a BBC2 radio show. Enjoy! 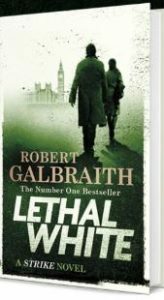 On Saturday J. K. Rowling gave a radio interview about Lethal White to Graham Norton on BBC Radio 2. [You can listen to the interview via this link; it begins at 2:30:00.] This is ‘Robert’s’ most in-depth interview since Val McDermid’s in 2014 (cf., Val McDermid interviews JK Rowling (Robert Galbraith) at Harrogate International Festival 2014) and you can hear how much more relaxed Rowling is in it than in her recent televised appearances in America promoting Crimes of Grindelwald and Lumos. 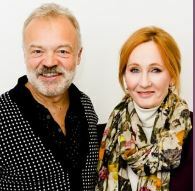 This is possibly due to the warmth of Graham Norton (he’s a very successful chat show host with a great track record of getting the best out of his interview subjects) and her not being jet-lagged (!) but – most likely – it shows the natural preference of a public-speaking phobic celebrity for the medium of radio. But some of her warmth in this interview can, I think, be attributed to the fact that she’s talking about a work that she loves. Norton asked her whether it made her happier to see her films or her novels at No. 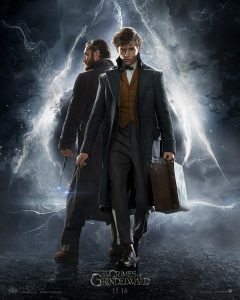 1 and – no surprise to HogPro readers here – she admitted that the success of Strike gives her more of a kick than the Fantastic Beasts movies (however different the paychecks). Much of what she said in this interview we’ve heard before (the story about her cover nearly being blown while her husband was eating a ‘research’ fry-up, for example) but much of it was slightly more fully expressed.